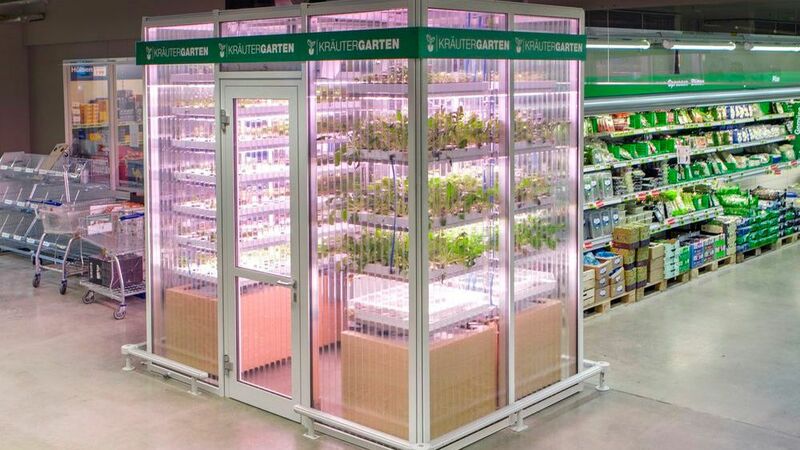 Andrew Sessa explores the future of the American grocery store. I didn’t know I loved supermarkets until I moved to Rome and there weren’t any—or at least not any good ones. Sure, I couldn’t swing a salami without hitting an alfresco produce market, a fourth-generation butcher, an artisanal cheesemonger or some other vestige of Old World grocery-ing. But I missed those bright, clean, wide aisles; those organized shelves stocking 27 kinds of everything; those 50,000 square feet of food and the possibility they promised. I missed the free samples. Shortly after I moved back to Manhattan, though, I learned that A&P, whose holdings included The Food Emporium and Pathmark, would soon shutter. Then Fairway, a beloved local institution, filed for bankruptcy in the spring, followed by the announcement that another NYC-based chain, D’Agostino, was putting itself up for sale. Out west, Washington-based grocer Haggen announced it was closing 127 stores last year, most of them locations the company had acquired from Albertsons and Safeway, following their recent merger. This apparent industry atrophy was upsetting but not exactly surprising. When I was growing up in the suburbs north of Manhattan, going to the local Waldbaum’s was a weekly ritual: Where else were you going to get your groceries? Stores like these got their start back in the ’30s, when grocer Michael J. Cullen—whose motto was “Pile it high, sell it low”—turned food shopping on its head by putting the butcher, baker and much more under one roof in Queens, New York. But now the King Kullens of the world face competitors big and small, high and low, digital and analog. Today, Walmart has the greatest share of grocery sales in the country, with big boxes like Costco and Target gobbling up ever-larger pieces of the pie. And at the opposite end of the spectrum, green-markets—and their supermarket cousin, Whole Foods—are growing: Whole Foods opened more than 140 stores in the past five years, while the number of farmers’ markets has grown by over 98 percent in the last decade. Plus, shoppers are spending more money than ever online, between grocery-delivery services like Amazon Fresh and subscription meal kits like Blue Apron, which is valued at more than $2 billion just four years after launching. For a supermarket fanboy like me, the future looks brighter. All that competition and digital disruption is pushing stores to become more things to more people. What, I wondered, did all this mean for the future of traditional American supermarkets? Would they peter out as 20th-century food-shopping relics, since today’s home cooks can feed their families and entertain their friends without ever setting foot in one? To answer these questions, I took a hard look at the current landscape, and what I found gave me hope. Despite these challenges—or perhaps because of them—supermarkets are innovating in ways that better feed our shifting shopping, cooking and eating habits. Supermarkets are devoting more space to the organic, natural, artisanal and local products shoppers are looking for. Kroger, the country’s biggest traditional grocery company by market share, reports that natural and organic foods, which did more than $12 billion in sales last year, are the fastest-growing departments in their stores; its Simple Truth store brand brought in $1.5 billion alone last year. Same with Safeway: Its Open Nature collection has grown by 400 percent since its 2011 debut. This appreciation for the crunchier side of food is reflected in the latest supermarket design, too. Step into Safeway and you’ll notice produce displayed in farm stand–style wood crates. The most cutting-edge supermarkets are capitalizing on something the big box stores and online retailers can’t: their foodie-ness. Nine Publix stores throughout the Southeast have hands-on cooking schools, and nearly all of its 1,110-plus outlets feature demo kitchens where chefs show customers how to make the dishes they market through their Aprons Simple Meals branded recipes and meal kits. Other forward-thinking supermarkets are turning themselves into full-on dining and drinking destinations. Many of Chicagoland’s Mariano’s markets are as much restaurant complex as store, with oyster and wine bars as well as sushi and barbecue joints. And last December, Whole Foods hired chef and Momofuku alum Tien Ho as its global vice president of culinary and hospitality, overseeing prepared foods and in-store eateries from local chefs, which already include a satellite of Los Angeles chef Roy Choi’s insanely popular Chego at the Downtown L.A. store. Next up: a fast-casual outpost from Brooklyn’s Frankies Spuntino at the new Bryant Park location in Manhattan. Publix’s Aprons predates Blue Apron by more than a decade, but other markets are now getting into the meal-kit game to supplement their growing heat-and-eat offerings. Stop & Shop and Giant recently introduced seasonally changing kits with store-brand products and produce, and Whole Foods and Stew Leonard’s have kits in development, too. Kroger debuted ClickList in Cincinnati last year, enabling online grocery ordering with in-store pickup, then quickly rolled it out to 23 more markets. Supermarkets are diving into store-to-home delivery, too: Owned by Ahold USA (the same company behind pioneering direct-to-your-door service Peapod), Stop & Shop and Giant are exploring same-day fulfillment by partnering with services such as Instacart and Google Express. Whole Foods has gone a step further, investing in Instacart last winter when the companies deepened their partnership; the company already uses a service called DoorDash to deliver prepared foods in New York and San Francisco. Brands are improving loyalty programs by offering more individualized promotions, often through smartphone apps and user data they collect. Kroger recently acquired its own data analytics firm, and Albertsons’ Just for U app offers special prices on products it thinks you might like. Technology is benefitting all aspects of the shopping experience: Stop & Shop lets you use your phone as a scanner to check out your order, and Kroger’s app reminds you of what you usually buy and where to find it in the store. And taking a ticket at the deli counter is so 2015: At Stop & Shop, you place your order on a tablet screen and pick it up when it’s ready. The average American supermarket has shrunk from its high of over 45,000 square feet in the mid-aughts. The smaller footprint may be tied to the new concept stores brands are testing in areas known for discriminating shoppers and a millennial clientele. In February, Kroger debuted Main & Vine in the Seattle suburb of Gig Harbor, with a central show kitchen and a tightly tailored assortment of prepared and fresh foods. And last September, in Boston’s Allston neighborhood, the parent company behind Stop & Shop, Giant and Peapod rolled out Bfresh, a wallet-friendly store that’s similar in mind-set to Main & Vine. Whole Foods is rolling out smaller shops, too: 365 by Whole Foods Market debuted in L.A.’s Silver Lake in May with a presence by vegan-comfort-food star Chloe Coscarelli’s By Chloe. These places suggest that the next chapter of American supermarkets might well bear a striking resemblance to the old-school style of grocery shopping that’s the norm in Italy. For a supermarket fanboy like me, the future looks brighter—and is filled with far more possibility—than those reports of closures made it seem. All that competition and digital disruption is pushing grocery stores to become more things to more people. I for one am not going to complain when my local store reinvents itself as a Whole Foods-Target-Blue Apron-Eataly-Trader Joe’s-Amazon blend, with a soupçon of farm stand and a side of culinary school. I crave a place where I can buy ingredients or a prepared meal or something in between; where I can eat in or take out or one-click order to have my stuff hauled home. As far as I’m concerned, that future can’t come fast enough. I’m hungry for it now.